Seriously, you can forget about what Qualcomm and Texas Instruments are doing with their mobile processors, as we just received word from NVIDIA that they have quad-cores already in sampling and will more than likely be in tablets by August and then in phones by the end of 2011. 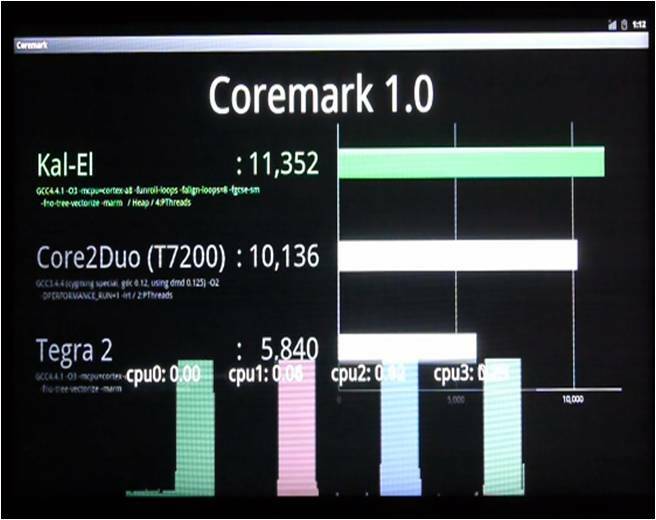 Codenamed Project Kal-el, the world’s first quad-core mobile processor includes a 12-core NVIDIA GPU, can do extreme HD at a resolution of 2560×1600 and puts out 5X the performance of current Tegra 2 devices. Ridiculous, right? Well, to make sure that everyone around the globe believes their August timeline, they busted out a working version for a select group of press at MWC for demos where they showed off a bunch of unreleased games and then destroyed a Core 2 Duo in a benchmark test. 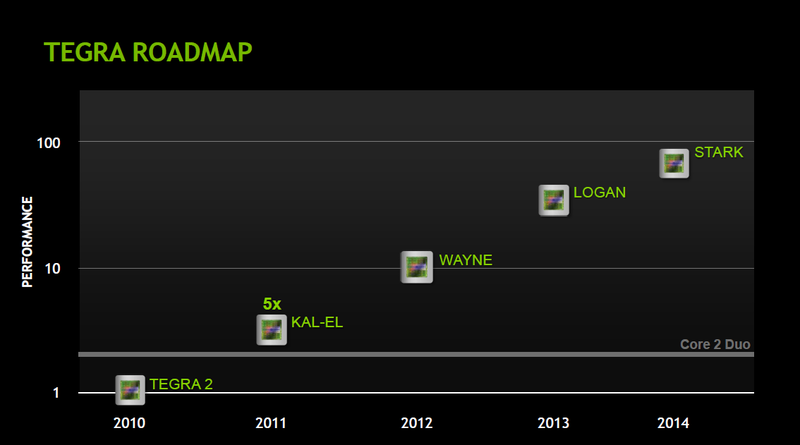 Now, we thought they had leaped ahead of everyone with their Tegra 2, but that was only the beginning according to the roadmap they’ve released along with this quad-core news. NVIDIA plans to release a new Tegra every year through at least 2014 with the final version (Stark) performing 100x better than anything currently on the market. The mobile world has officially changed. And I’ve now retracted my “Holy Sh*t!” from yesterday’s Snapdragon post and will gladly place it where it belongs, with the folks at NVIDIA. Huge +1 for this news. Motorola Denies Windows Phone Because it's a "Closed Platform" - Wait What?